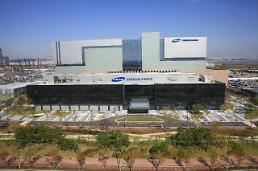 SEOUL -- Samsung Bioepis, a biopharmaceutical joint venture between U.S. and South Korean companies, announced the launch of Imraldi, an adalimumab biosimilar referencing Humira in the competitive European market. The launch comes amid growing competition among pharmaceutical firms to release Humira biosimilars. Humira, produced by AbbVie Inc., is a widely used medication for the treatment of rheumatoid arthritis, psoriatic arthritis, ankylosing spondylitis, Crohn's disease, ulcerative colitis, chronic psoriasis, hidradenitis suppurativa, and juvenile idiopathic arthritis. 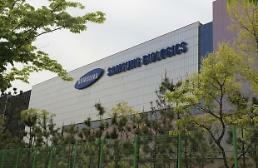 Samsung Bioepis said in a statement Wednesday that the commercialization of Imraldi in Europe followed the settlement of a patent dispute with AbbVie in April. Bioepis is a joint venture between Samsung BioLogics, a bio company affiliated with South Korea's Samsung Group, and U.S.-based pharmaceutical company Biogen. "We hope Imraldi will play an important role widening choice and increasing competition in one of the most high-value areas of the biopharmaceuticals market," Samsung Bioepis chief operating officer Pak Sang-jin said in a statement. In August 2017, the European Commission accepted an application to sell Imraldi in 28 EU member states, as well as Norway, Iceland and Liechtenstein, Samsung Bioepis said. Biogen is in charge of marketing in Europe. "We look forward to increasing patient access to this important medicine by leveraging our industry-leading position in the European anti-TNF market," Ian Henshaw, head of Biogen’s biosimilars unit, was quoted as saying.